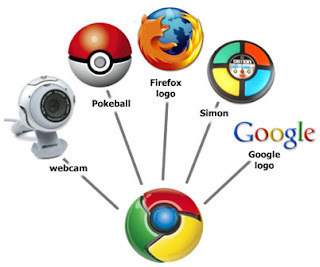 Google Chrome grabbed an increase browser market share in this January 2010. As receive the effects, Microsoft Internet Explorer and its biggest competitor, Mozilla Firefox missed. According to data published NetApplications, until late January, Chrome which recently won the third position as the browser of the most widely used Internet users the world of Apple's Safari had 5.2 percent of the market. Market share of Google Chrome rose 0.6 percent over the previous month. This increase, though slightly below their revenue in December last, is the second largest increase since Google launched the browser it in September 2008. As from July 2009, market share has doubled Chrome. On the other hand, IE dropped 0.51 percent and now only has a market share of 62.2 percent. Microsoft browser record low. If the trend does not change, the market share of IE will be below 50 percent in the upcoming April 2011. Firefox experienced a similar fate which has decreased the percentage of users in January. Thus, already two months of consecutive decline Firefox. End of January 2010, Firefox has decreased 0.2 percent market share to 24.4 percent. According to NetApplications, Firefox was still unable to get the number 25 percent since the last time nearly reached the market in November 2009. Since then the growth of Firefox actually decreased.